I recently saw a post on Hackaday about a course in MIT where the students get to build an FMCW radar from mainly off-the-shelf components. I got pretty excited about it and immediately thought that I wanted to build a better one from scratch. The design presented in this post is just the preliminary design, a lot of things might change as I go along. I won’t go to too much detail in this chapter because you can find a lot of better references on FMCW theory from elsewhere. Basically an FMCW radar is a continuous wave radar that transmits frequency sweeps called “chirps“. The chirp then travels down to the target and gets reflected back. The received signal is then mixed with the transmitted signal and amplified. From the resulting signal you can deduce distance to the target and how fast it is moving in relation to the radar (due to doppler shift). You can track multiple targets with just a single radar. You can also use an FMCW radar to capture so called SAR (Synthetic Aperture Radar) images where either the radar moves in relation to the target or the target moves in relation to the radar (inverse SAR) which enables the radar to form a 3D-image of the target. Applications of FMCW radars vary widely from military applications (target acquisition radars etc. ), automotive radars, traffic counters and door openers to satellites. FMCW radars in satellites are used to measure ocean salinity, wind speed and wave height over water, soil moisture, geography etc. I started off by making a block diagram of my design. 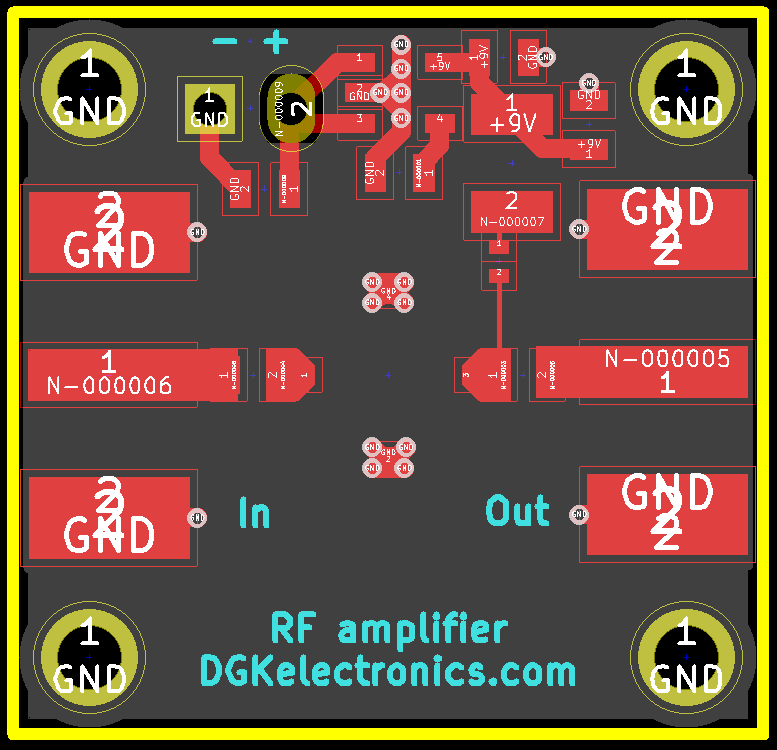 I decided to make the radar for the 4.2-4.4GHz band because it has less interference than the 2.4GHz ISM band and the antennas will be smaller. 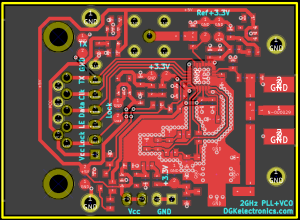 In a nutshell there is a board with a PLL and a 2GHz VCO that gets doubled to 4GHz and amplified and transmitted with a 13dBi horn antenna. The return signal is received with the same kind of antenna. The received signal is then mixed with the transmitted signal, amplified with a transistor cascode amplifier and then amplified even more with two separate op-amp stages. The idea was to make it modular, cheap and simple but most importantly well designed. I also tried to avoid using parts that are hard to find and/or expensive. One of the key design parameters in an FMCW radar is the phase noise performance. The lower the phase noise, the better. I have tried to make the phase noise as low as possible with several design choices. The antennas are 13dBi horn antennas. 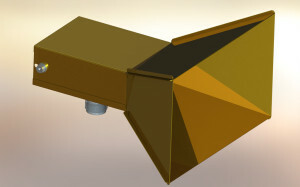 I calculated the dimensions and then made a model of the antennas on SolidWorks. I’m looking in to getting the pieces lasercut from 0.5mm brass and soldering them together. The antennas have an adjustable end plate I can use to tune the antennas. The signal source is based on a 2GHz VCO because they are readily available and cheap because they are widely used in cellular applications. The VCO is phase-locked with an ADF4158 PLL chip which is digitally controlled via a 3-wire interface. 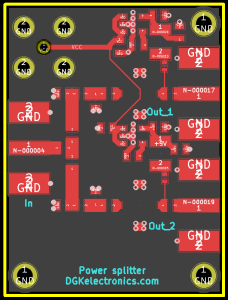 This particular PLL chip is very handy because it has an integrated ramp generator needed to generate the chirps. The board has separate extremely low noise voltage regulators (ADP150) for all the different sections to try to reduce the noise. The traces going from the PLL to the VCO loop filter are shielded with ground fills and a LOT of vias to stop induced noise in the traces. Even very small amounts of noise on the traces can generate a lot of phase noise which is detrimental to the performance. One of the hardest parts of this project is to get the PLL loop filter values correct to get a good linear sweep response. The frequency multiplier is just a regular MSA-0686 MMIC amplifier which is driven to saturation. The board has its own LP2985 low-noise regulator. The band-pass filter is situated after the multiplier. It is used to “select” the second harmonic from the amplifier output and attenuate the 1st and 3rd harmonics. It will most likely be implemented as a fifth order hairpin filter on Taconic TLC-30 PTFE laminate (which I have quite a lot). I have done hours and hours of simulations with Agilent ADS and I have a couple of different designs I am going to try. I’m guessing getting it to work correctly might be more difficult than I have anticipated! Getting the filter to work right will most likely require a few tries and a lot of measurements with a network analyzer. Power splitter is just a regular resistive power splitter with ERA-5 MMIC amplifier stages on both outputs. Each amplifier has its own regulator. The receiver has a HMC219MS8 GaAs passive double-balanced mixer. The IF signal from the mixer is amplified with a transistor cascode amplifier. 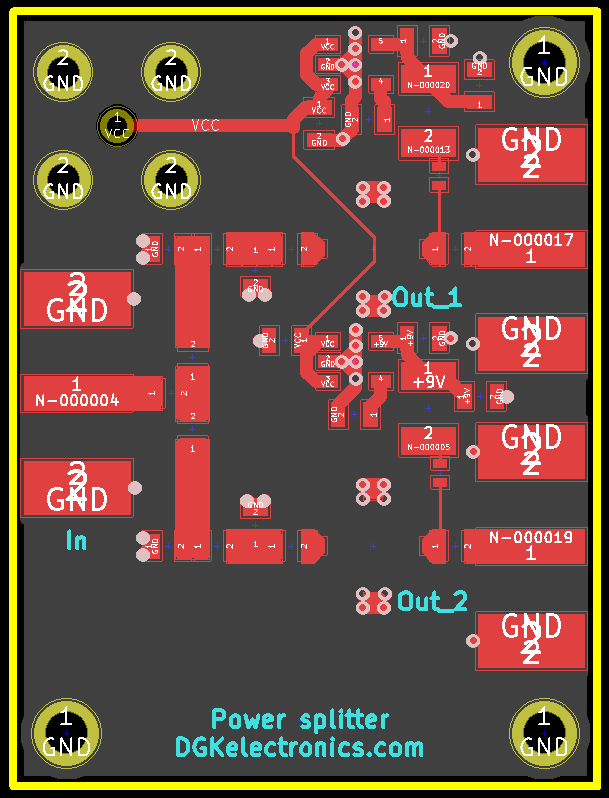 The IF signal path is shielded with vias from induced noise. After the cascode the signal is amplified with two separate op-amp stages. The first stage acts as a range emphasis amplifier in which the the gain varies as a function of the frequency so that higher frequency signals (=target is far) are amplified more than low-frequency signals. The second op-amp amplifier acts as a low-pass filter with gain. The signal from the receiver will be sampled in some way and processed on a computer. 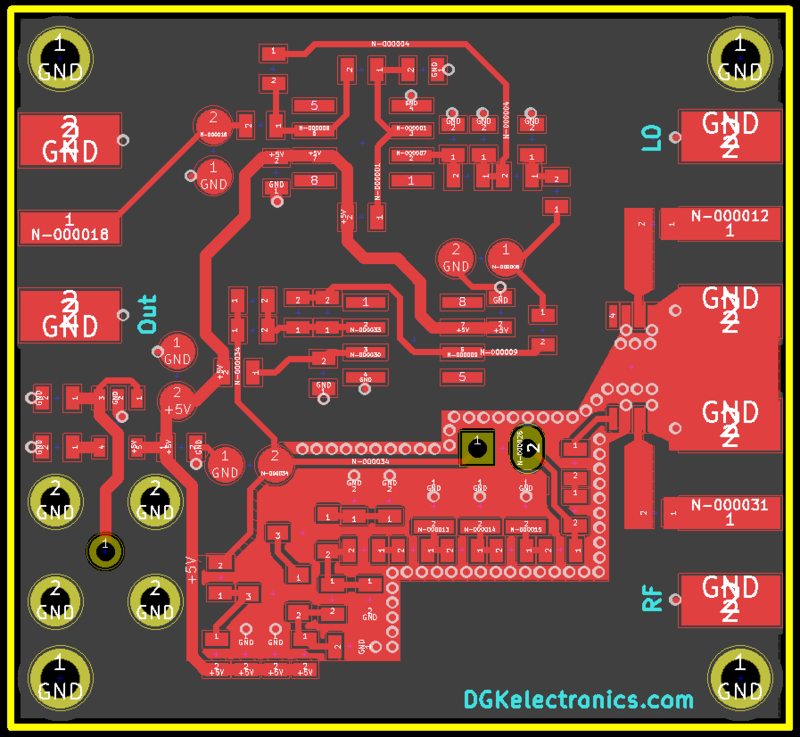 I will most likely use a sound card as the ADC at first but switch to a dedicated ADC board after I get my software working. The ADC will be housed with the microcontroller that will be controlling the PLL. 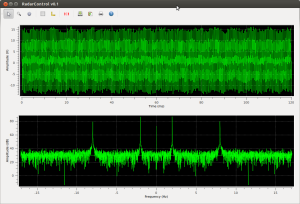 I started programming my own software for controlling the radar and displaying the video signal and FFT of the video signal. It uses Python, PyQt, guiqwt and SciPy/Numpy. It’s not too useful yet so it will need some work. I studied the radar FMCW during remote sensing course. I want connect the output radar FMCW to arduino, is possible? How i do? can you help me? I want connect the out of mixer of the radar FMCW to arduino, but I don’t know. …So how is Radar is going on ? any improvements.. So interested in your project, very good project indeed. Hey Jasurbek! I’m going to school and working part time at the same time so I have been quite busy 🙂 Can’t say the radar has gone forward much. 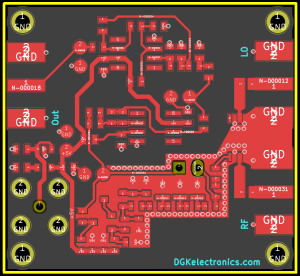 I did quite a bit of thinking on an FPGA based and USB-connected receiver/ADC part but not much else. Are you sure you are allowed to build transmitters at that frequency? You cannot use a frequency band if it is not unlicensed as you could cause interference to other transmissions. Hey Nidhi! 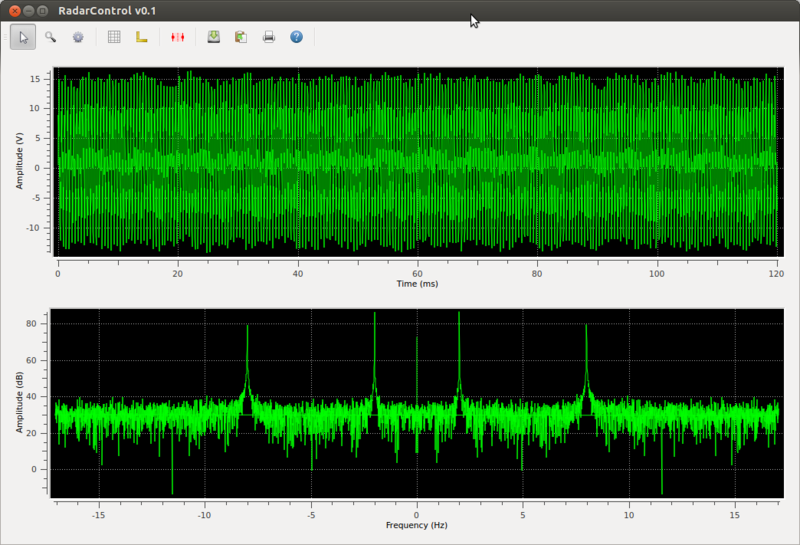 Most likely not on the 4GHz band. I’ve since changed my plans a bit an decided to target the 9.5-10 GHz band where you can transmit up to 25mW EIRP. I also scored a 8592A 50kHz-22GHz spectrum analyzer from eBay for peanuts. Now I just have to hope it gets here in one piece! How are you doing these days? I was wondering how is this project is going on. Share with us about latest news please. Long time you did not update your posts…..we are eagerly waiting for your new posts. Hallo…it’s possible to have the files of the PCBs.. Which software are u using for the PCBs layout ??!? DesignSpark ?? 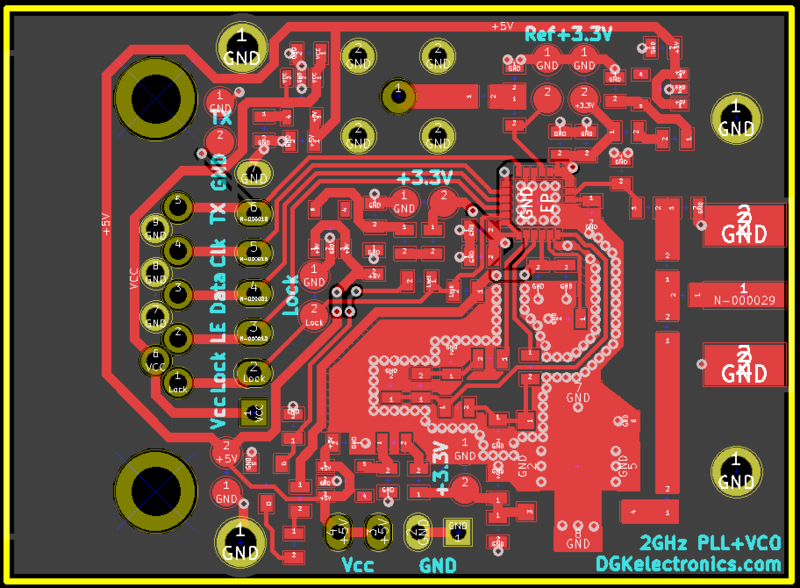 I am designing something similar, but at high frequency… but i am using ADF4158, so it will be good if i can have the pcb layouts for controlling the dimensions of the components and other parameters. Thank you mate ! I have noticed in the software picture that you use an 120ms sample and after the analysis it says that it has 2Hz and 7Hz harmonics. A 2Hz harmonic would require at least a 500ms sample to be detected by a fourier transform. Am I missing something? I was afraid that I was correct. According to my calculations, the nearest detectable object by a fourier transform (first harmonic on a full swing sampling), depends only by the frequency difference of the swing. So for a 0.1GHz swing the closest detectable object is at 1.5m, and the next harmonic goes to 3.0m. If we have a smaller swing, for example 0.05GHz the distances are 3m and 6m respectively. I was planing to use my device in rooms, but unless I find a different way of analysing the results, it would be of little use. Very nice job, Keep posting such an interesting topics. Thanks for sharing. And how about sharing software/schematics? 🙂 I’m just beginner, and I think it will take long time for me to do what you did. …too many questions, but I like it, how did you make horn antenna? Hey! Thank you for the compliments! This post was just a preliminary design, I have not actually built it yet! But you can get most of the components from Digi-key, excluding some items like the VCO. I’ll post more information about the project including schematics when the project advances. The horn antenna will be made from thin brass sheet that will be cut and folded to four pieces (+backplate) that will be soldered together. I work on a simmilar project, not so advanced though. 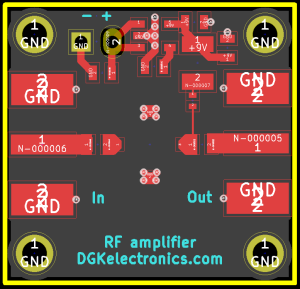 I will use mostly ready components for the RF stage though because my knowledge in the RF electronics and equipment is limited. For the control/sampling stage though I will use a dsPIC, they have a 1Ms/s on 1 channel 10bit build in ADC capability which is easy to use and by far supperior to regular sound cards. I will also use RS232 to USB inerface for comunication, so it will have the handling simplicity of the RS232 in both the MCU and the PC with the added benefit of high data rate and connectivity to any PC with a USB port. 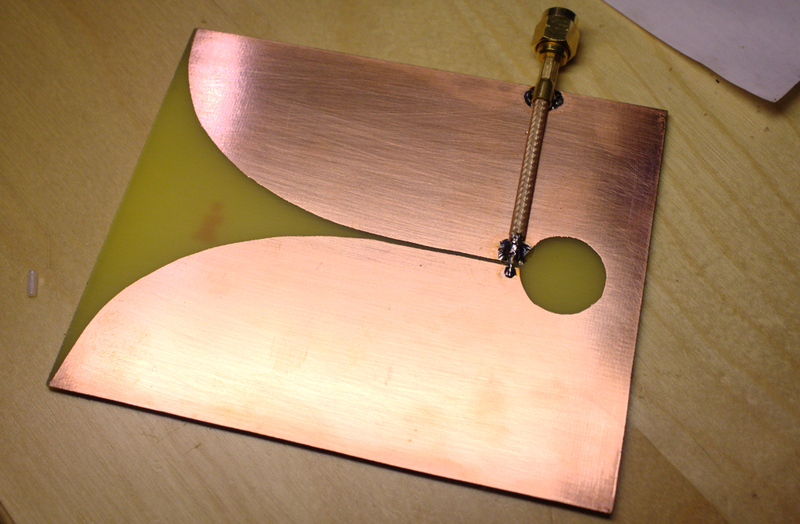 I would also suggest a little different way to assemble your antenna that I believe that will result in an easiest and more accurate construction. It would be easy to explain if I could send you a picture. Did you got my e-mail?